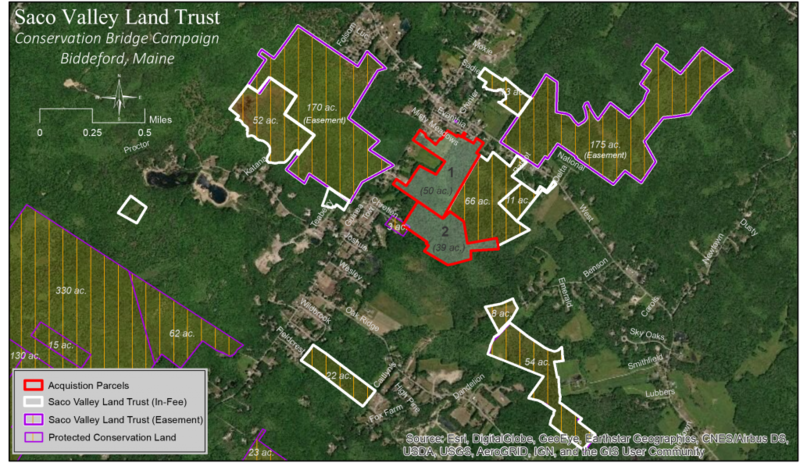 As Saco Valley Land Trust celebrates its Thirty Year Anniversary, the Trust is announcing the purchase of 40 acres of woods and wetlands off Guinea Rd. in Biddeford. 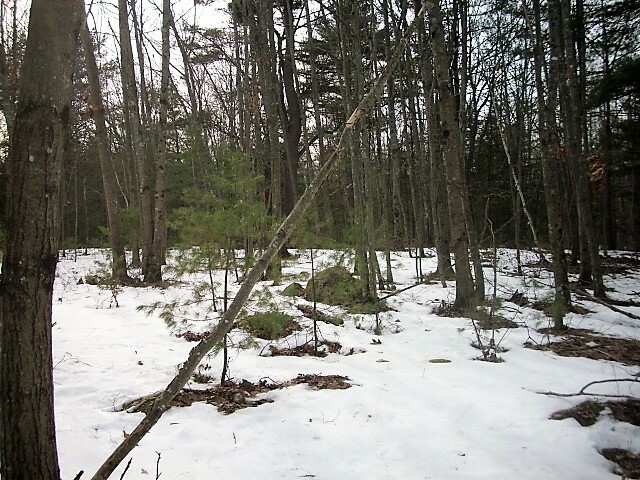 This purchase is the first acquisition of its new Conservation Bridge Project, an effort to link twelve easement and fee parcels that we have already conserved within the state-designated Biddeford/Kennebunkport Vernal Pool Complex. Located in the area around the intersection of West St. and Guinea Rd. in Biddeford, these twelve lots or easements were acquired through donations by landowners, developers and the City, through private foundation funding and federal grants: around 500 acres. Because of its unique geological characteristics, the Vernal Pool Complex is ideal habitat for many species of concern, including reptiles, amphibians, and migrating water- and song-birds. Its wetlands filter water into the Little and Batson Rivers. Interspersed with wetlands, brooks and tributaries are forested uplands that reforested after the 1947 fire, and fields that are remnants of a farming past,. Along with habitat protection, SVLT will practice careful forest management to improve forest health and provide funds for land stewardship into the future. The newly acquired 40 acre parcel, and a planned acquisition of an adjoining 50 acres, have so far received foundation support from the Davis Conservation Foundation and Fields Pond Foundation, as well as a donation from Saco & Biddeford Savings Institution. In the coming months, Saco Valley Land Trust will be reaching out to local businesses and residents, asking for financial support of this project. Will you make a donation now? We will be glad to field any further questions you may have about donations, easements or conservation options in general that our website has not addressed. If we do not have the resources to answer your questions, we can refer you to other sources of information. Legal or tax questions would be better answered by a professional, although we can give you general information about current tax advantages and options to consider when developing conservation plans. 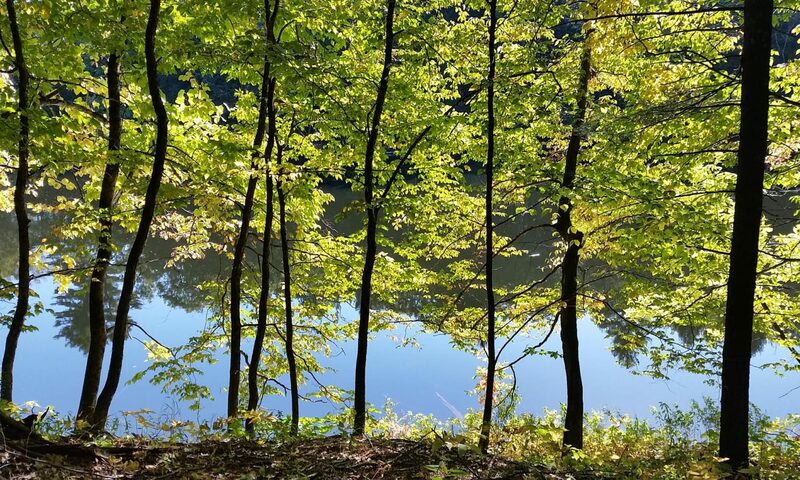 The Saco Valley Land Trust meets on the first Thursday of every month (July or August meetings may sometimes be rescheduled) at 7:00 PM in the first floor council room of Saco City Hall. Interested parties are always welcome. You may want to contact us before attending so we can fill you in on our current projects and meeting agenda.